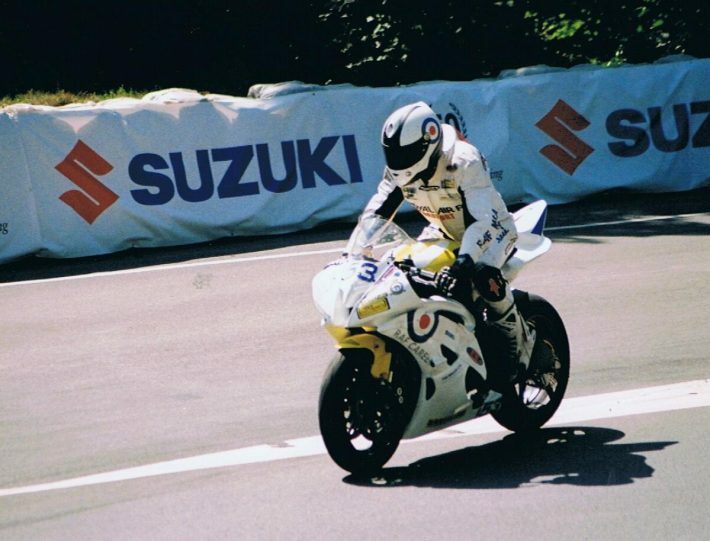 Michael’s first Isle of Man appearance came in the 2007 Manx Grand Prix Newcomers A race, in which he placed 8th. After winning the Senior Manx Grand Prix in 2009, his first TT races came the following year with 28th being his highest finish in the Supersport TT 1 race. Michael won his first Manx GP in the 2009 Senior Manx Grand Prix, in a race that included future TT winner Ivan Lintin. In 2013 Michael was at the top of the Manx GP podium again, this time winning the Super Twin race, beating Michael Sweeney to first place. Russell’s highest TT finish came in 2015 in the Lightweight TT, where he placed 7th, four places behind idol Michael Rutter in 3rd. In terms of the Classic TT, 7th is also Michael’s highest placed finish which came in the 2017 Senior Classic TT.